Rev. 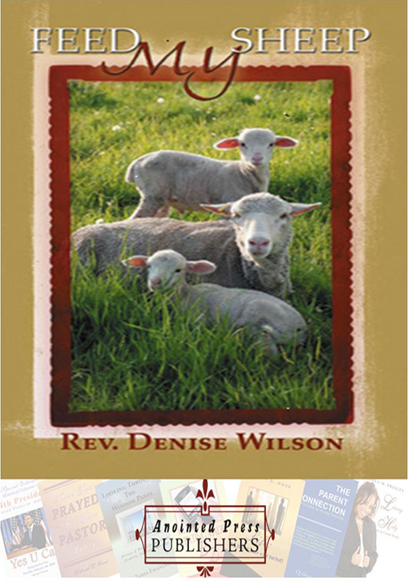 Denise Wilson- Feed My Sheep! This is the story of the Wilson Ministry Foundation and how one person can impact a whole community through giving and loving and therefore setting the example for more people to be involved in making everyone in our community a priority. This book is a MUST READ to those who bear the name of Christ. It is time that believers get outside of the four walls of the church and begin doing the work of the ministry. This book depicts how the harvest is plenty, but the laborers are few. I pray as you begin to read that your heart will be stirred with passion to FEED GOD's SHEEP, no matter where you are and where you go.